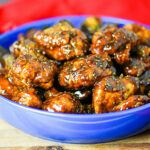 My wife recently purchased an Instant Pot® for me and I was excited to give it a try — although I was a little hesitant at first. 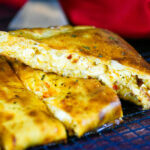 After testing it out on a few recipes I was completely sold on it. I am more of an “old school” slow cooker kinda guy so I’m used to being very patient with dishes that took time to prepare. 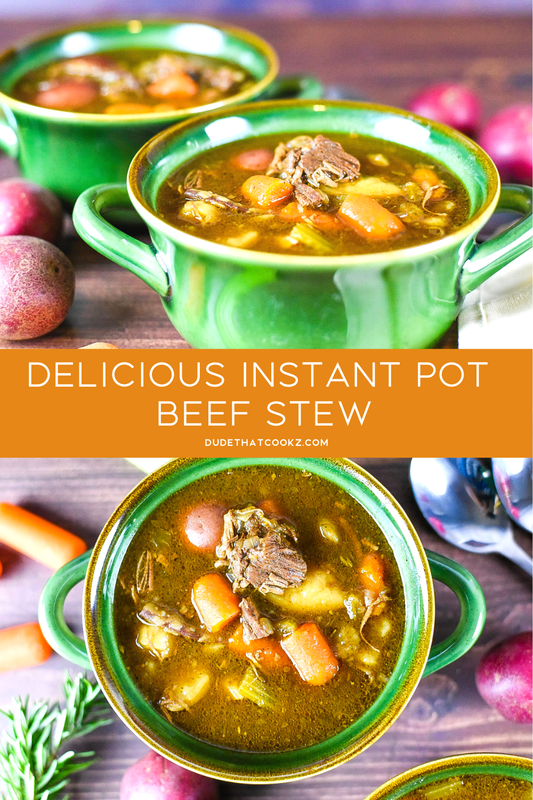 Fast forward to now and this Instant Pot® is not only easy to use but it works great! 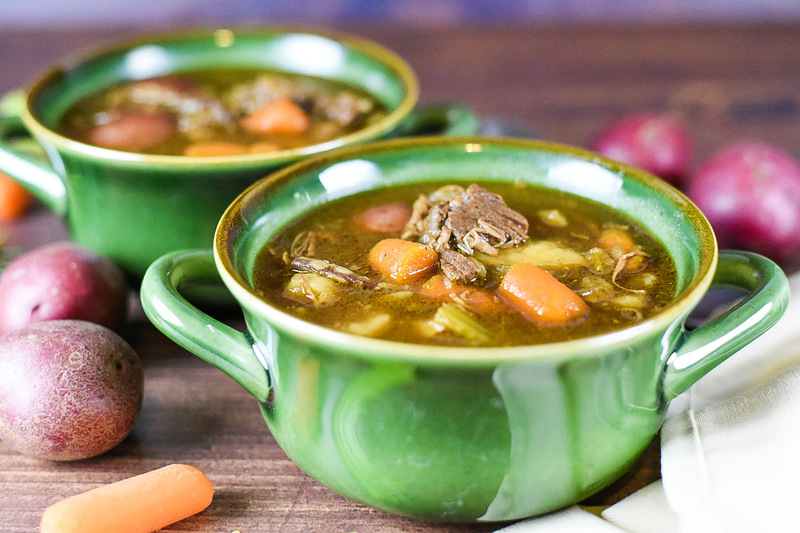 I love a great hearty beef stew and using an Instant Pot® for the recipe makes this simple dinner idea a lot easier to make. 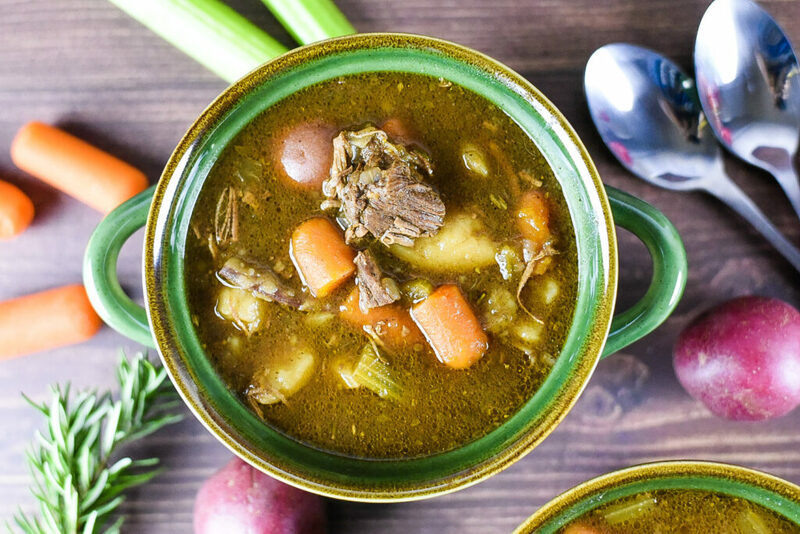 I didn’t want to use the typical flavor profile of a southern beef stew so I added a splash of Caribbean allspice to give this dish a kick. The Instant Pot® made the beef and potatoes so tender that I was amazed that it only took 30 minutes! 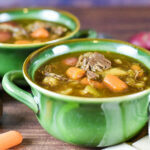 If you own one of these cool machines give my Instant Pot® Beef Stew a try and I can place a bet that the family will thoroughly enjoy this dinner option. Begin by chopping the celery, red potatoes, fresh rosemary, carrots and onions. Set to the side. Turn the Instant Pot on in “Saute” mode. The message screen will display “Hot” when ready. Season the beef with sea salt, 1/2 tbsp black pepper, and 1/2 tbsp garlic powder. Add 1/4 cup cooking oil to the Instant Pot then add in the beef. Brown the sides of the beef cubes. 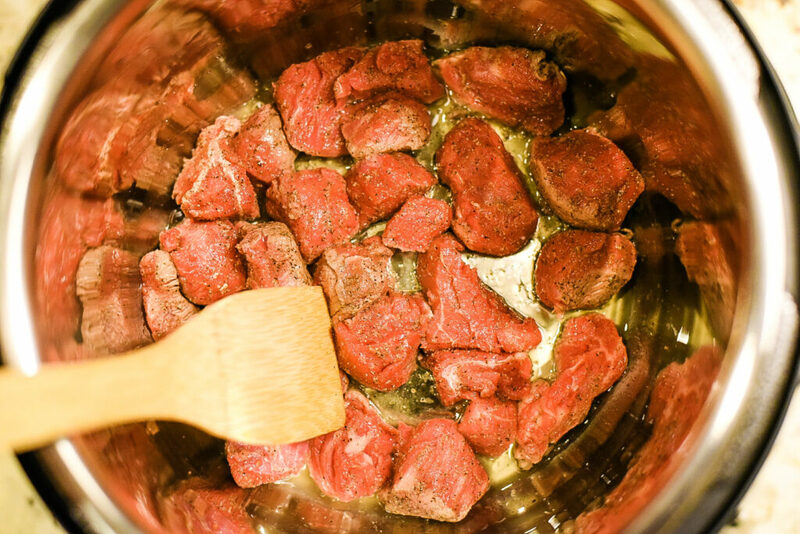 Remove beef from the Instant Pot. 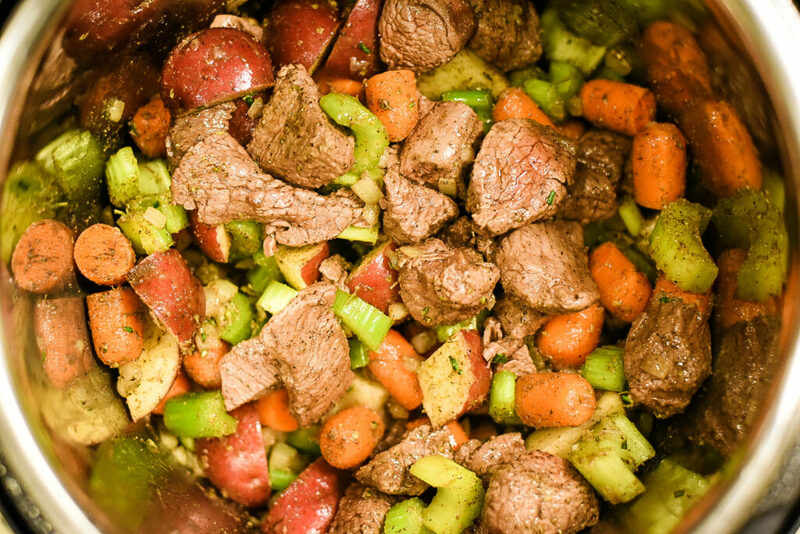 Add onions, carrots, celery, fresh rosemary and red potatoes to the Instant Pot. Add all Instant Pot seasonings into a small bowl. Stir together then pour over ingredients. Stir together. Once the top is opened, add water and corn starch to a small bowl and stir until blended then add to the pot of cooked ingredients and stir. Server hot with optional rice. Once the cooking time is complete, be sure to release the pressure by switching the steam top before opening.